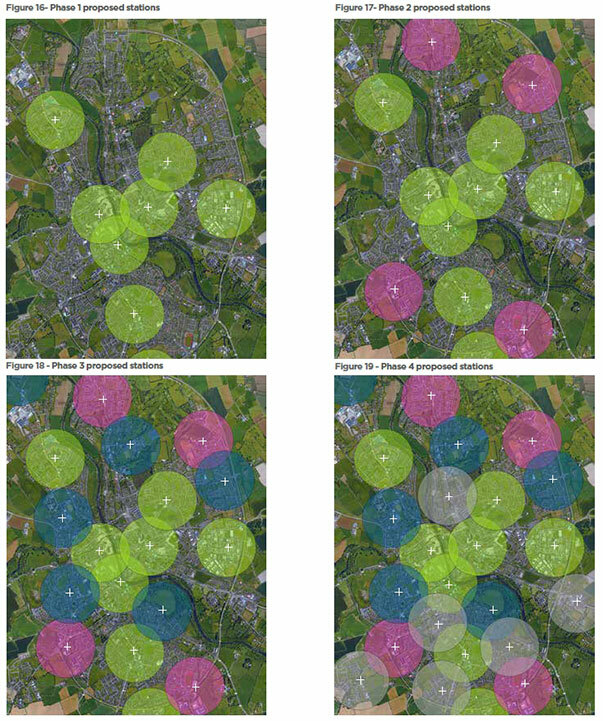 This study for a Bike Share Scheme for Kilkenny was commissioned by Kilkenny LEADER Partnership CLG. It was authored by Ian Dempsey of County Cork-based Prescience in collaboration with Willie Miller Urban Design (Glasgow and Tallinn) and Jacob Dibble (Helsinki) between June and December 2018. We wish to acknowledge the contribution of many organisations and individuals who shared willingly of their time, information, perspective and ambition including Cartoon Saloon, Kilkenny County Council, Kilkenny Recreation and Sports Partnership and Mestna Obĉina Velenje, Slovenia. 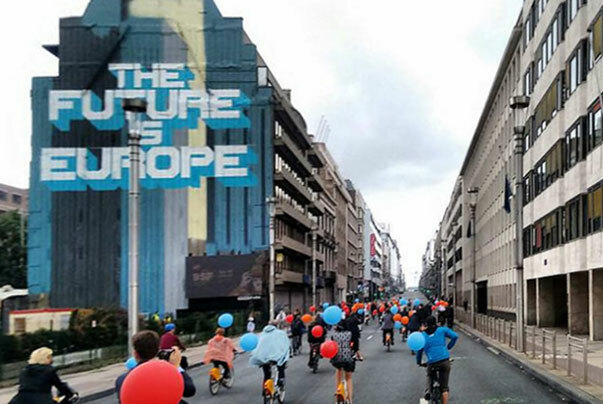 Cycling contributes substantial added value to a wide array of EU and national policy goals. These goals are influenced and shaped in part by commitments to supranational obligations including the United Nations Sustainable Development Goals, the Paris Agreement and the New Urban Agenda. In practical terms cycling supports low emission mobility; stimulates economic, leisure and social development; facilitates multimodality in and integration of public transport; enhances urban mobility; promotes physical activity, health and wellbeing as well as liveability and quality of place. In 2017 the EU Cycling Strategy quantified the economic benefits of cycling across a broad spectrum of disciplines to be €513bn. It asserts that where pro-cycling development policies and incentives are in place and where cycling is promoted as an equal partner in the mobility system, economic benefits of €760bn by 2030 can be achieved. From its earliest iteration in the 1960s Bike Share Schemes have evolved rapidly, with over 1600 schemes now in operation globally; its evolution aided by significant social, cultural and technological change as well as by locally-led initiatives. Now in its fourth generation, Bike Share Schemes have become a prominent feature of the urban mobility system and are now regarded as essential elements in placemaking, Smart City and competitive positioning strategies. Bike Share Schemes can differ substantially in nature, network and scale but in essence, they enable the short term rental of a bicycle generally for a small fee, whether subscription or usage-based. 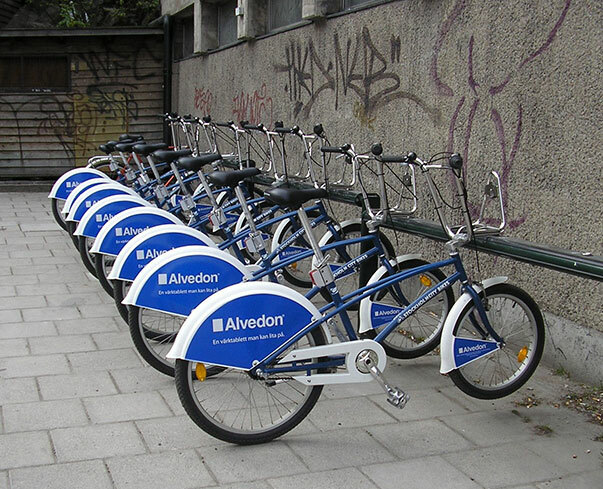 Rentals have traditionally been from a pre-ordained location such as a docking point with the bike later returned to the scheme at this or some other site within the network. 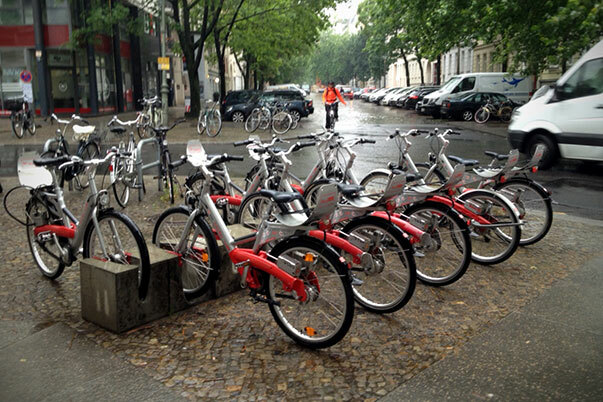 Recent developments in Bike Share Schemes, however, have seen the emergence of dockless or free-floating projects which obviate the need for docking stations and offer greater flexibility in access, usage and network range. Successful Bike Share Schemes in urban locations are characterised by widespread user acceptance, low cost, ease of access, reliability, consistency, and convenience. Scheme size and reach is generally a function of population and population density in the urban environment with bicycle provision focused on central, densely populated and highly trafficked routes. A continual requirement to rebalance bicycle stocks to meet demand at peak times militates against the location of docking points in isolated or peripheral places. Demand characteristics differ considerably depending on the scheme objectives and goals, target groups, user demographics, the quality of the cycling infrastructure as well as the compatibility with and/or integration with other modes, most notably public transport. Operating and financing models differ widely; the specifics of which will generally be a matter of defined scheme objectives, most generally linked to seamless integrated urban mobility, congestion easing or the facilitation of modal shift. Higher costs associated with the development and operation of conventional docked schemes typically require a significant subvention of public funds from National or local authorities. In contrast, the lower costs of dockless projects require that they operate on a commercial basis; success primarily determined by operational efficiency, business revenue and user acceptance. Aside from the need for a public subvention and Irrespective of configuration, revenues accrue from subscription fees, usage charges and commercial sponsorship. Extensive research conducted on Bike Share Schemes throughout the World demonstrates that convenience and value for money are central to user acceptance and scheme success. The former demands consistent ease of access to a bicycle and proximity to user residence and place of employment; the latter requires cost savings over other modes, including public transport. Most notably, from a modal shift and sustainable transport perspective, the majority of scheme users globally migrate to bike share from other sustainable forms of transportation rather than from the private car. Occasional leisure and recreation usage predominate over regular commuting usage. 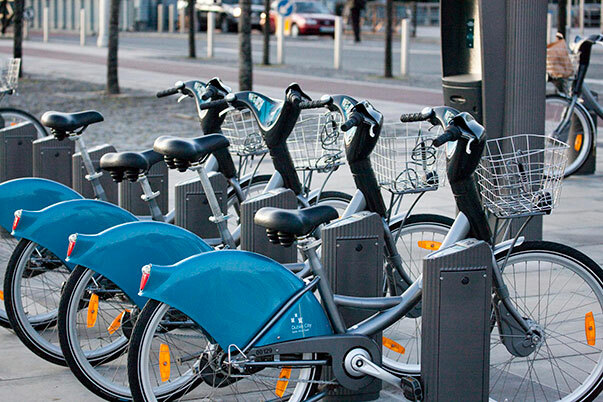 A Bike Share Scheme was first introduced to Ireland in 2009. The initial success of the Dublin scheme – often regarded as one of the most successful in the World – saw it introduced in Cork, Limerick and Galway by 2014. These schemes are conventional city-scale docked schemes with a dense urban network aligned and integrated with the public transport network. The operation of each of the projects as well as their continued development is dependent on policy initiatives and financial support from Department of Transport, Tourism and Sport, the National Transport Authority as well as from the Local Authorities. More recently, the scheme scope and network in Dublin has been extended by the introduction of a dockless scheme by private operators as a complement to the densely clustered docked system. 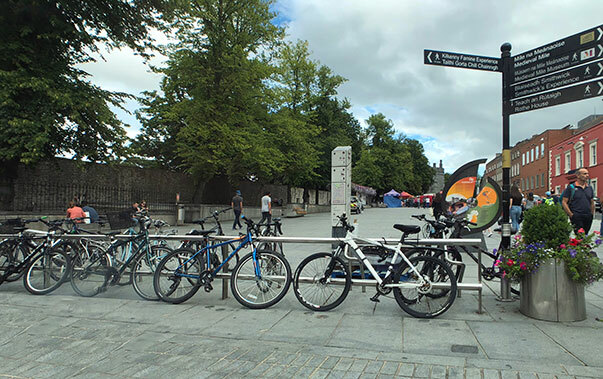 Kilkenny City, its scale, personality, demographics and economy offer many of the characteristics necessary for the introduction of a Bike Share Scheme. However, the success of any such scheme in the City is unlikely until clear scheme objectives and goals are determined, thus allowing the accompanying developmental and operational resources to be identified, sourced and/or redeployed from stakeholders as necessary. Survey findings suggest a disposition locally towards occasional bike share usage on a pay as you go basis rather than for a regular commute. This is in line with experiences observed elsewhere in Ireland and overseas whereby scheme usage is an adjunct to primary and secondary transport modes. This study determines that a modestly-scaled, conventional docked scheme for the City would cost a minimum of €150,000 to develop and require a minimum public subvention or commercial sponsorship of a similar magnitude to sustain operations on an annual basis. Such an investment could be justified by the substantial contribution of a Bike Scheme to placemaking, urban liveability, citizen wellbeing, quality of life and quality of place in Kilkenny. The rationale for the use of such resources to promote modal shift, to serve as first/last mile solutions, to ease vehicular congestion or to facilitate increased leisure and tourist usage in the City is much less certain. The development and operational costs of Bike Share Scheme can be mitigated by the licensing of a Bike Share Scheme and the transfer of financial risk from the Local Authority to a commercial operator; the success and sustainability of which would be wholly dependent on attracting sufficient commercial revenue. However, where this occurs, the solidity, permanence and network effect of a scheme is considerably diminished. This study identifies a critical path through which stakeholders can define scheme goals and objectives, pool resources and delineate responsibilities. It also identifies critical enablers for scheme success to include a Cycling Master Plan and associated infrastructure enhancements that can create and foster a pro-cycling culture and environment, appropriate to and safe for all. 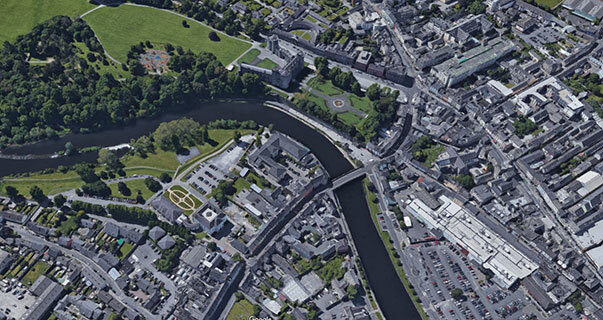 It is within this context that a Bike Share Scheme can make a notable contribution to the social, economic and environmental development of Kilkenny City. Taking account of the enablers and success factors observed elsewhere the study concludes by envisioning a scheme for Kilkenny. This proposal, which is scalable and can be developed incrementally over successive phases, seeks to place the development and sustainability of a Bike Share Scheme within a progressive placemaking strategy appropriate to the city’s scale and context. It is based upon the existing cycle infrastructure for which the study makes site-specific recommendations to enhance its network value. The fundamental principles of Network, Centrality and Place are used to inform the optimal location of bike availability, irrespective of whether a docked or dockless scheme is favoured. This seeks to ensure that maximum coverage and reach is afforded to all areas and users in the City, factors central to the scheme’s success.